Discussion in 'Adventure Gaming' started by Infinitron, Feb 16, 2017. This point and click adventure will feature hand-painted 640x360 graphics, an exciting story with existential twists, and multiple endings. Whispers of a Machine is being targeted for a 2018 release for Windows and Mac, and is a collaborative effort of indie developers Clifftop Games and Faravid Interactive. Clifftop Games previously released Kathy Rain, of which Destructoid said "No hyperbole, Kathy Rain is yet another milestone in this resurgence of old-school point-and-click adventures." 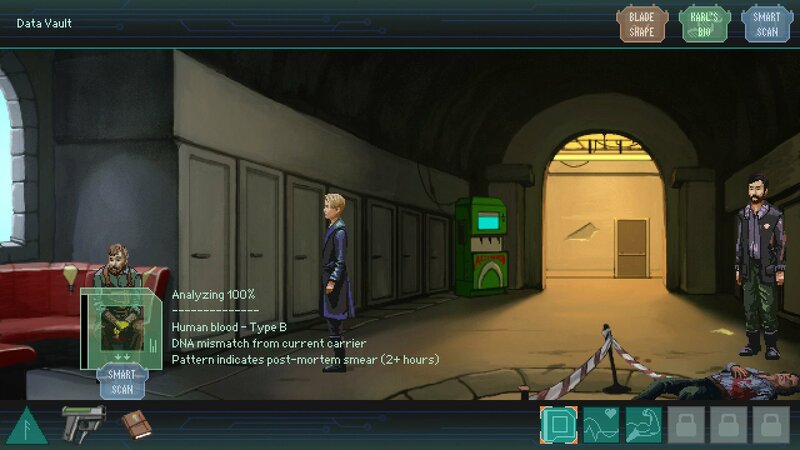 The Samaritan Paradox was the first game released by Faravid Interactive. 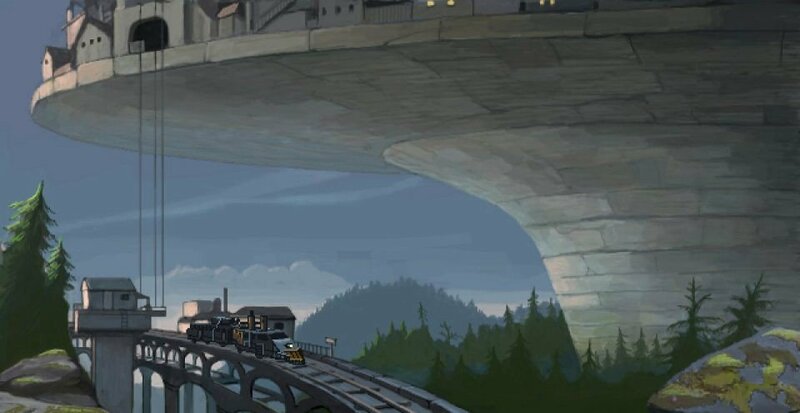 It was said to be "a challenging, intelligent tale wrapped up in a neat adventure game package" by The Telegraph. Judging by the screenshots, it's going to have some interesting mechanics. This looks spectacular. Hope it delivers. Published by Raw Fury (the publisher of Kathy Rain, The Last Night, Kingdom). 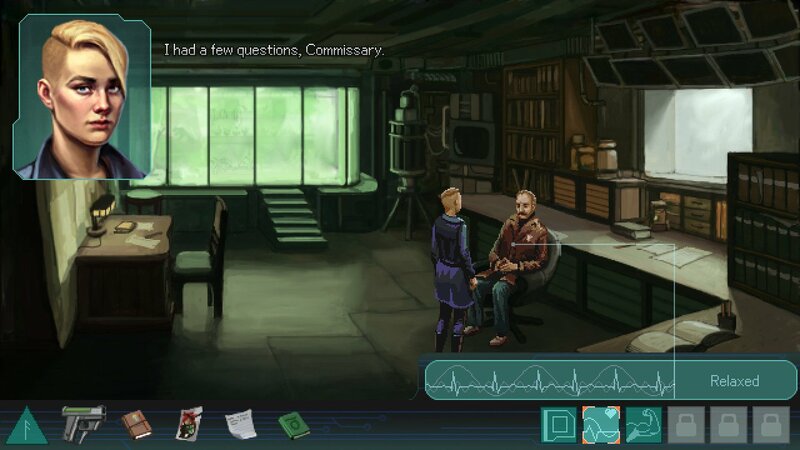 Whispers of a Machine is a Sci-Fi Nordic Noir that tells the story of Vera, a cybernetically augmented special agent tasked with investigating a string of murders. Due to the wounds of our past, AI is outlawed and now nearly non-existent. However, as the threads of Vera’s case begin to unravel, she is pulled into an invisible war between two opposing forces — those who are intent on destroying AI, no matter the cost, and those who seek to awaken it again, regarding it a lost deity in a godless world. To help in her mission, Vera has been equipped with an advanced nano-substance called Blue. This rare and sought-after technology allows her to develop superhuman abilities adapted to her psychological mindset. Choose your methods and utilize these augmentations to investigate, gather information, and solve puzzles with solutions shaped by your choices. In this gripping story with existential twists and multiple endings, what Vera uncovers will have monumental consequences for humanity — will we be able find a way to peacefully coexist with AI, or will one of us inevitably destroy the other? So it seems my hunch was right and it's going to be a sorta-QfG-like. Cautiously excited! A bit disappointed they didn't stay in a "real world" setting. We don't have enough of games like that. This will be released on April 17th. Yay, now I know what I'll be doing during Easter holidays. Infinitron - no offense, but I cannot see any of the pictures in your post, and I normally do not have this issue. I, respectfully, ask that you fix this. If this problem is on my end, and I'm the only one suffering of this, please disregard the preceding. I can't, it's a copy-paste from their old website that got taken down. Bought it, but i am currently hooked on heaven's fault. Been playing it for 2 hours or so and got through the first day (or what I am assuming is basically an extended tutorial) and so far I like it. It has some light roleplaying elements which the game promises should have an effect on solutions available to you. We'll see. The couple of player reviews up are very positive, too. Steamcharts says it hit 90 players today. That is a really strong launch, as I assume the numbers will peak on the weekend. Shardlight peaked at 95, Technobabylon at 83, Lamplight City at 82, Kathy Rain at 59, though all of these (I think?) ultimately had higher numbers when they were put on sale or in bundles. I am enjoying this game. Unlike Unavowed or Lamplight City, it feels and plays like a proper graphic adventure, even if a bit on the easy side. Yes, that's the feeling I've been getting too - it's not terribly hard, but it doesn't feel like the game is spoon-feeding solutions to you. Yes, it really feels like a classic Point and Click with real riddles. Really been enjoying the first two hours. If you like PNCs then don't miss out on this game. It really feels like the devs learned from the already good Kathie Rain. According to Steam it took me a bit over 4 hours,but I feel like I might have missed some stuff - not that the ending did not make sense, just the game hints at some backstory that never got properly resolved (but maybe that's just intentionally vague). Anyway: what I gathered from skimming the Steam forums, you get different power upgrades depending on your dialog choices. That plus different endings give the game replayability, even though it's quite short otherwise. Yep. That's pretty spot on.